Goodreads: Perfect for fans of John Green and Rainbow Rowell, Love and Other Foreign Words is equal parts comedy and coming of age–a whip-smart, big-hearted, laugh-out-loud love story about sisters, friends, and what it means to love at all. Sixteen-year-old Josie lives her life in translation. She speaks High School, College, Friends, Boyfriends, Break-ups, and even the language of Beautiful Girls. But none of these is her native tongue–the only people who speak that are her best friend Stu and her sister Kate. So when Kate gets engaged to an epically insufferable guy, how can Josie see it as anything but the mistake of a lifetime? Kate is determined to bend Josie to her will for the wedding; Josie is determined to break Kate and her fiancé up. As battles are waged over secrets and semantics, Josie is forced to examine her feelings for the boyfriend who says he loves her, the sister she loves but doesn’t always like, and the best friend who hasn’t said a word–at least not in a language Josie understands. 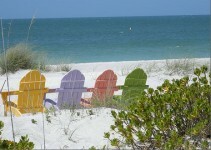 Ope’s Opinion: I bounced between three and four chairs. I liked this book more then the average book, but it wasn’t a hold your breath kind of story. This book was about love – all kinds – between sisters, parents, those about to get married and those still figuring out what love is all about. The sisters love is the center of the story. They were not always nice to each other, but they kept coming back to the fact that they love each other. I loved that Josie ( the main character ) does not take romantic love lightly. She thinks about her feelings before she expresses them. Josie is very snarky – so if you like that kind of character you will really like her. Erin McCahan can write good dialogue. She keeps your attention. I will read more of her books. 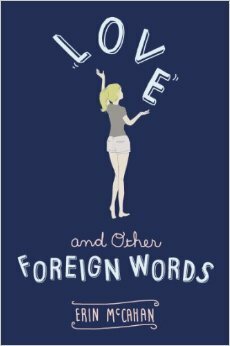 This entry was posted in Book Opinion and tagged Contemporary Young Adult, Erin McCahan, Love and Other Foreign Words by opesopinions. Bookmark the permalink.